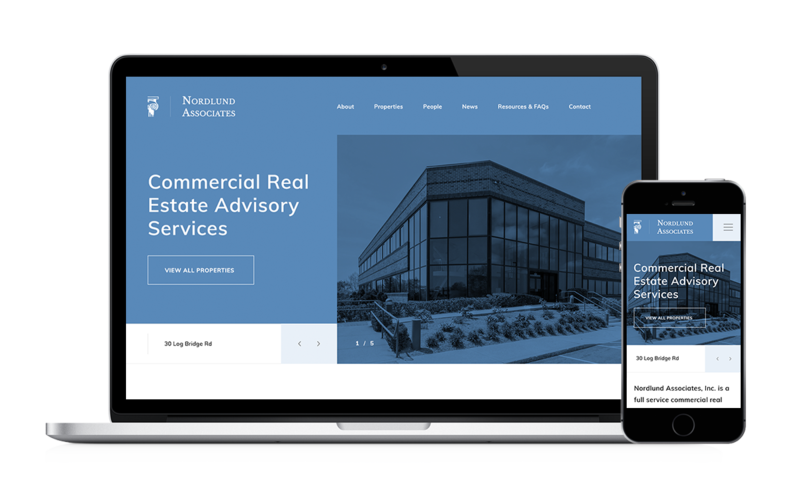 Real Estate brokerage firm Norlund Associates, based in North Shore Boston, partnered up with inMotion to facilitate the development of their new company website and reinforcement of their online presence. Additionally, through effective marketing strategies including SEO and content marketing, inMotion is helping Norlund to increase traffic and further enhance the overall experience on the website. The goal of the new website is to engage visitors through a fresh and modern approach to the design and direct communication of all their services. The website has also been set up to enable visitors to run specific property searches for listings based on a number of search parameters. As with all inMotion developed websites, the new website is fully responsive. The site is also integrated with social media buttons, testimonials and a news section allowing Norlund to constantly update content with news updates, blog articles, company announcements and previous client successes. The website features a WordPress CMS (full training provided) so Norlund Associates can make edits to content, listings and copy whenever they need to.